TeamViewer is also available in a portable version that comprises all the features of the full version without the need to install anything. Instead, The Portable version runs directly from a USB stick or a CD. 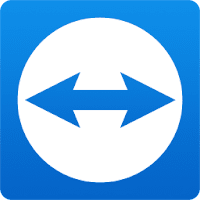 TeamViewer is available to everyone completely free of charge for personal, non-commercial use - if you intend to use TeamViewer for commercial purposes you'll need to purchase a license. Examples of commercial use: Helping or supporting customers or colleagues at work; Assisting businesses or organizations, even on a voluntary basis; Connecting to your company PC or server from your home office. Examples of personal use: Helping or supporting friends and relatives; Connecting to your personal computer at home. Integrated file transfer with drag & drop support. Remote presentation of products, solutions, and services. Flexible use for a variety of applications. Disclaimer: Direct downloads for the lastest version of TeamViewer 14.2.8352 are provided by the official software's author, we can't guarantee safety, availability or download speed. Moreover, we don't and we won't provide any pirated/illegal versions or tools. We recommend you to avoid it as these methods can harm your device. If you like the software, buy it to support the developers. (We provide software discounts for many worldwide brands).